In the 1970 FIFA World Cup Final, Brazil struck first, with Pelé heading in a cross by Rivelino at the 18th minute. Roberto Boninsegna equalized for Italy after a blunder in the Brazilian defence. In the second half, Brazil's firepower and creativity was too much for an Italian side that clung to their cautious defensive system. Gérson fired in a powerful shot for the second goal, and then helped provide the third, with a long free kick to Pelé who headed down into the path of the onrushing Jairzinho. Pelé capped his superb performance by drawing the Italian defence in the centre and feeding captain Carlos Alberto on the right flank for the final score. 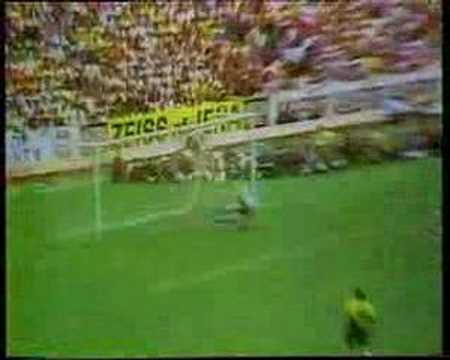 Carlos Alberto's goal, after a series of moves by the Brazilian team from the left to the centre, is considered one of the greatest goals ever scored in the history of the tournament. A total of 8 outfield players from Brazil passed the ball until Captain Carlos Alberto hammered the ball into the corner of the Italian goal following an inch perfect pass across the Italian 18 yard box from Pelé, prompted by the intelligent Tostão, who, with his back to the goal, told Pelé that Alberto was steaming in on the right flank. 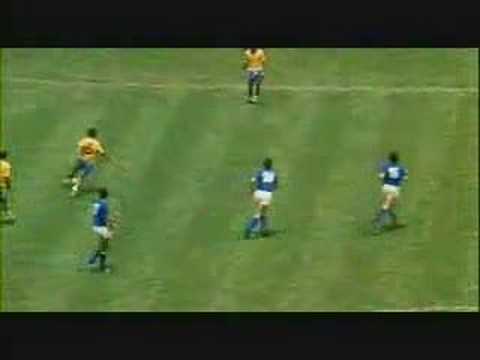 Tostão started the move 5 yards from the left of the Brazilian 18 yard box, then ran the length of the field to the Italian box without touching the ball again to tell Pelé to lay it off for Alberto. The players involved in the passes in order were Tostão, Brito, Clodoaldo, Pelé, Gérson, defender Clodoaldo beat 4 Italian players in his own half before passing to Rivelino who hit a perfect pass down the wing to Jairzinho. Jairzinho crossed from the wing to the centre of the box to Pelé who held the ball up to play a pass for Alberto to smash it home. The only outfield players not involved in the move were Everaldo and Piazza. 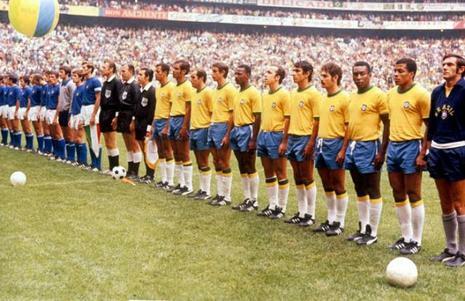 The full team was Carlos Alberto, Felix, Piazza, Brito, Clodoaldo, Everaldo Antonio, Jairzinho, Gérson, Tostão, Pelé and Rivelino. Brazil won the World Cup with 19 goals scored by 7 players, all of whom featured in the Carlos Alberto goal. Before the finals in Mexico, Brazil had to play the qualifying rounds against Colombia, Venezuela and Paraguay. Brazil was far superior winning all 6 games, scoring 23 goals and conceding only 2. In the last match of the qualifying rounds Brazil beat Paraguay 1 – 0 and had the largest official audience ever recorded for a football match, with 183,341 spectators in Brazil's Maracanã Stadium. In total the Brazilian team won all 12 games , scoring 42 goals and conceding only 8. This victory consecrated the first tri-campeão (three-time champions) in football history. With this third win after 1958 and 1962, Brazil earned the right to retain the Jules Rimet Trophy permanently. (Ironically, it was stolen in 1983 while on display in Rio de Janeiro and never recovered.) Brazilian coach Mário Zagallo was the first footballer to become World Cup champion as a player (1958, 1962) and a coach, and Pelé ended his World Cup playing career as the first (and so far only) three-time winner. 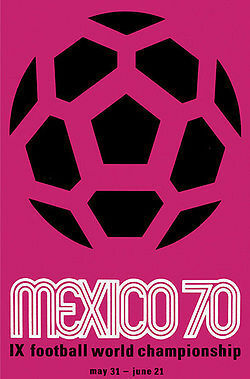 The IX World Cup was hosted by Mexico, which had the advantage of newly built, modern sports facilities. FIFA was concerned, though, with the altitudes, (reaching up to 2,680 meters above sea level) on which the games were to be played. 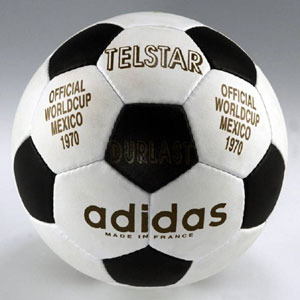 70 teams entered the competition, among the ones that didn't make it through the qualifiers was Portugal (bronze medallist of 1966), Yugoslavia (European champion), Hungary (Olympic champion), and Argentina. For the first time Israel, Morocco and El Salvador qualified.